Price: $9.99 $16.99 41.20% off i The regular prices might have a slight change due to amazon seller's control. Great scale - easy to use, highly visible Does a very good job and is accurate - I compared the reading to another scale I had and the numbers matched. Easy to use - just step on it, and the numbers are highly visible in the dark. Only suggestion is the corners are a little sharp - in the dark you could maybe hurt yourself banging your foot against it. 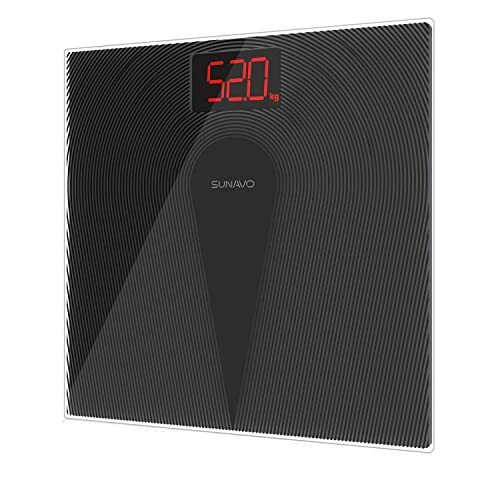 Hey,come to try Digital Bathroom Scale 400 Pounds Fingerprint Non-Slip Design Backlit Displays 5-180kg Body Weight Scale with Tempered Glass Christmas Gift now.It's a trial rebates.